​Besides originating from California, what do these 2 pictures have in common? Answer: Irresponsible Natural Resource Management. Wait, 65? What’s the damage today? “Hundreds of homes and businesses”. 100’s! What’s going on?! Well, the irony is that California – this bastion of PETA-Approved "conservation" political agendas – has been long setting itself up for these “natural” but unnaturally huge disasters. Many western states have, in fact, followed similar “Californication” trends in keeping wilderness wild, nature natural, and wrapping trees in red tape so thick it clogs even the sharpest chainsaws. 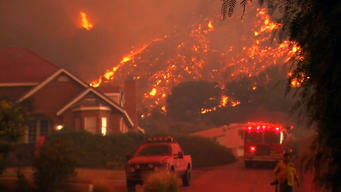 Not surprisingly, these are the same states we continually see in the news with out-of-control wildfires. Hmmm. ​Question: is the US an outlier in this political trend? Of course not! Toxic environmentalism has never been monopolized by American elites. 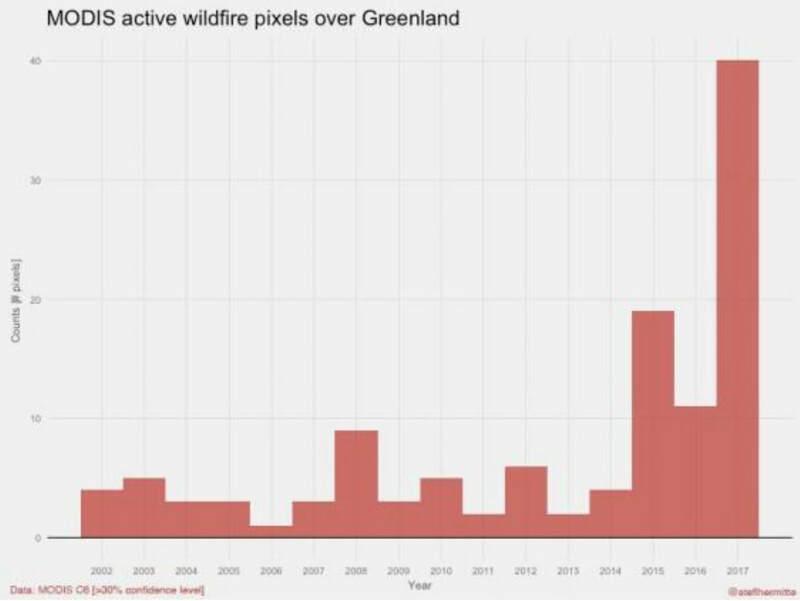 Canada is currently setting records for forest fires and Greenland is seeing recent record spikes as well [to name a few]. Here's the underlying problem: the strictest “conservation” laws sound good under the dark shadows of skyscrapers surrounded by gray cement and graying political sponsors (with soy-burger breath) but these "indoorsman" are out of touch with reality [literally: it's classic Kenntnis versus Wissenschaft] and these people are fully ignorant about the great outdoors. Still, why do such people promote silly, unhealthy conservation efforts? Why can't they just keep quiet? Well, feel-good conservation ideas provide moving [read: "emotional"] rhetorical value. “Save the trees, save the wild animals” are excellent political one-line zingers. Animal lovers (most of us) sop that crap up if we forget our ability to reason is on a higher order than our emotional feelings. Frankly, Disney Politics don't work and they simply need to stop. Bambi is a renewable resource that must be managed or chronic wasting disease rages and trees are a renewable resource that must be managed or wildfire incidence rages. Exhibit A = Today. ​Further, organic meat and useful wood shouldn’t be needlessly left to rot or wasted. Take New York City (how did you know NY was going to make an appearance!). 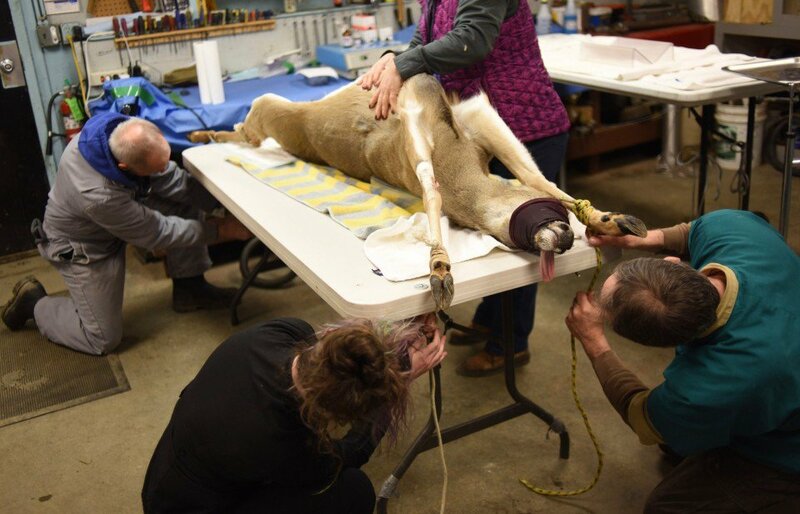 New York City is performing vasectomies on deer to the tune of 2 million dollars (i.e. a solution where we spend money rather than save money and feed hungry people…). Yet, these "dear" animals are renewable – not rare, sterile, or irreplaceable! They’re even overpopulated much like trees in many parts of the country!! ​Let's go back to the source. “Till the earth and subdue it”; that's how the Divine commanded it; a philosophy of active thought, true responsibility, and honorable duty…a philosophy diametrically opposed to the passive and grey "green” idea that nature should be "un-man-aged" and left entirely wild. ​The most fitting irony is that even the Disney movie "Bambi" had a massive wildfire in their own improperly managed, cartoon-generated, woodland. Oops. Dr. Anthony G. Jay is the CEO of AJ Consulting Company, author of Estrogeneration, scientist, simplifier, speaker, and outdoorsman. His main area of expertise is personalized preventative functional medicine.